We strive to improve our patient’s quality of life through better hearing. Better hearing is better living. Our audiologists provide diagnostic services and solutions for all of your hearing needs. We are uniquely qualified to expertly evaluate the individual nature of your hearing loss and your communication needs. Hearing Associates receives referrals from area physicians, nursing homes and other allied health professionals. We participate with the United States Department of Labor to provide hearing aids to civilian government workers who have sustained noise induced hearing loss at the workplace. We also provide diagnostic hearing services to our United States military service members as part of the military’s reserve health readiness program. Our patients refer their family and friends on a regular basis. We see patients from all areas including Pennsylvania, Washington DC, Delaware and Baltimore. We are proud of our reputation as a trustworthy hearing healthcare provider. 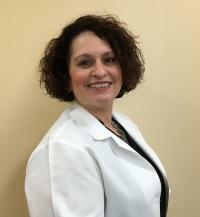 Dr. Betsy J. Cohen is a Board Certified and licensed Doctor of Audiology. Dr. Cohen obtained her Bachelor’s degree from University of Maryland in 1982, her Master’s degree in Audiology from Hofstra University in 1984, and her Doctorate degree in Audiology from A. T. Still University, Arizona School of Health Sciences in 2006. She specializes in hearing assessments, hearing aid dispensing and repairs, and balance disorders. She sees patients in both Bel Air and Havre de Grace. Dr. Toni Brightwell joined Hearing Associates in October 2014. Dr. Brightwell received her Bachelor’s degree from Towson University in 1998 and her Master’s Degree in Audiology in 2000. In 2016, Dr. Brightwell received her Doctorate degree in Audiology from A.T. Still University, Arizona School of Health Sciences. Dr. Brightwell’s background is in diagnostic audiology, cochlear implants, and balance disorders. She has extensive experience diagnosing and treating hearing and balance disorders in adult and pediatric populations. She sees patients in both Bel Air and Havre de Grace. Our office managers at Hearing Associates are an integral part of the success of Hearing Associates. Nancy Russell and Angela Martin have been with Hearing Associates since 1996. They are both certified in the Patient Care Coordinator Training Program. They have the office expertise needed to answer questions and solve problems quickly and efficiently. They greet with a smile and make a point of making no question or task too small. Working together for over 20 years we have become the type of team you will love to work with.